While the Stephanie Plum series got too silly for me after a while, there’s no denying it started with a bang. 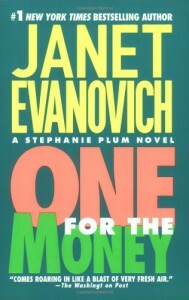 Janet Evanovich injected more than enough humor and action to make “One For The Money” a very enjoyable read. Stephanie Plum is tough, yet sensitive, and her wit and charisma makes her quite a compelling character. While the other members of Stephanie’s bounty-hunting family are fun characters as well, Stephanie definitely steals the show. My only major problem with the book was that I felt the actual mystery fell flat. I can say without exaggeration that the mystery that is the driving force throughout “One For The Money” is easier to solve than many Scooby-Doo episodes! Also, while I certainly don’t mind some humor injected into my mysteries, Evanovich does sometimes get a little too over-the-top with the silliness, making it hard to take the book seriously at times. 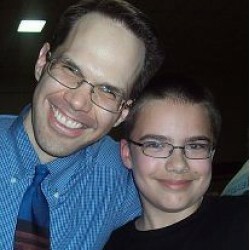 So, if you’re looking for a complex mystery to solve, I’d advise you to look somewhere else. But if you’re looking for a fun, breezy mystery starring a likeable heroine, then I can recommend “One For The Money”.